German Made Nib writing width approx: 0.5mm With Ink Cartridge. 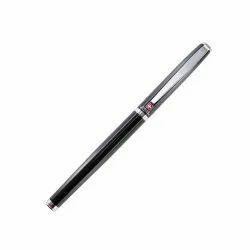 We are the leading manufacturers, suppliers and distributors in good quality fountain pens. - With 8 Feather Lines clip. - Button action fitted with standard ball point refill. It is applicable for writing purpose for personal and professional use in offices and schools. By fusing the traditional mechanisms of the fountain pen with a modern industrial design, TWSBI has created an eye-catching fountain pen that is appreciative of the past and is relevant in the present. The Precision fountain pen comes with a piston filling mechanism and has all detachable parts. Gun Metal finish with chrome trims. Piston ink-filling mechanism. Chromed trim clip. 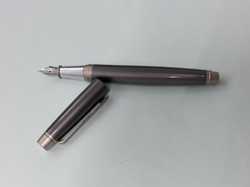 Being a leading enterprise of this industry, we are offering a huge range of Fountain Pen. - Body And Cap: Resin Body. - Clips And Trims: Rhodium Plated Trims. - Mechanism: Cartridge/ Converter Mechanism. Warranty : 2 years global warranty by Montblanc.